Just For Fun Quiz / Split the Shape! 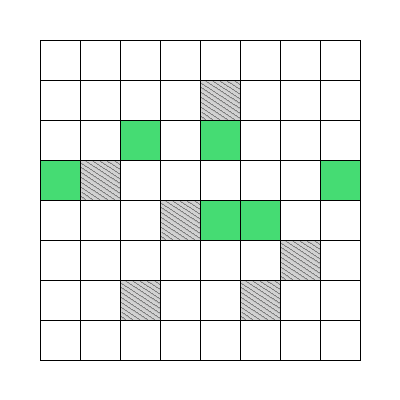 The green and grey regions are exactly the same shape; one rotated 180° from the other. Click a white square to paint it green. Use the decoy marker on a white square to shade it in grey. *If you're still unsure on how to solve anything logically here, I have posted some hints in the Source link (scroll to the bottom of the page to find it).